At 18, Damaless Kamanga faced stigma and discrimination. That time, she was a Form One student at Sanga Community Day Secondary School (CDSS) in Nkhata Bay District. An affair which got her pregnant, in 2017, also pushed her out of school. The misfortune was compounded by the decision of the man to deny responsibility of the pregnancy. “My parents took care of me till I gave birth to a baby boy,” she states. She is now back to school, determined to get on with her education and realise her dream of becoming a nurse. “Some people will ridicule you for giving birth while you are still young, but what is important is to focus on your education,” Damaless, from Kang’oma Village, Traditional Authority Mankhambira (T/A), in the lakeshore district, says. 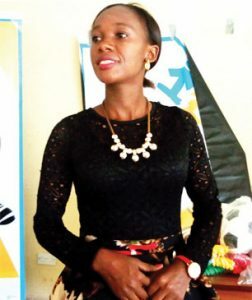 Now, she has revived her dream of becoming a nurse and is among over over 1,000 girls from the district that have gone back to school after dropping out for various reasons. Out of this figure, 368 dropped out of school due to early marriages while Damaless and over 800 others dumped school after falling pregnant or lacked education support, among other reasons. “I had no hope that I would resume my studies because my parents said I had grown up, hence I had to focus on taking care of my child. Mentors from Girls Empowerment Network [Genet] helped me return to school,” she says. In 2016, an alliance of organisations such as Genet, Youth Net and Counselling (Yoneco), Oxfam, Save the Child and Population Council, started implementing a project called Marriage no Child’s Play in Nkhata Bay, Mangochi and Mchinji districts. The development followed worrying statistics on teenage pregnancies and child marriages. “We started implementing this project in Nkhata Bay in October 2016 with the aim of increasing access to formal education for girls that are at risk or affected by child marriage. At first we only had 19 main girls clubs but later were scaled up to 26,” Genet Project Officer for Nkhata Bay, Juliet Simbeye, says. The Marriage no Child’s Play project in Nkhata Bay is being implemented in three T/As of Fukamapili, Mankhambira and Fukamalaza. Nkhata Bay is one district that registers several cases of girls dropping out of school to seek fortunes from tourists or fishermen. Hastings Mugabe, who is the Area Development Committee Chairperson for Mankhambira, admits that before the coming of the project, girls were being married off to richer men, especially those staying in South Africa. A nurse at Maula Health Centre, Richard Mzumara, who doubles as youth friendly health services provider, says one of the solutions is to promote access to sexual reproductive health services in the area. Nkhata Bay District Youth Officer, Geoffrey Mwase, agrees with Mzumala. However, agreeing with others is one thing, putting hopes in action is yet together.